Almost reaching the five minute mark, this single is one of the most well-crafted and considerate reggae releases of recent years. Yardie is something of a grower, for sure – those classic vibes generally either win you over from the offset or they don’t, but in this case the song grows more entrancing and enjoyable the further along you get. It stands tall as a well written song, regardless of genre, and mixed in with the rhythm and smoothness of the beat is an undeniable level of soul and personal story-telling – it’s emotional, and the melodic development is fairly subtle, so for these reasons and more; the track is easily likely to win you over. Listening through for a second and third time means picking up on various little nuances that give the track character and flavor. The reggae vibe is subtle on some occasions, instead you notice the meandering solo riff floating along the higher edges, and you notice the leading voice – the passion and authenticity in the delivery. As suggested, the songwriting stands tall – perhaps above the genre; those universal good vibes merely add fuel to an already big and beautiful fire. Despite this though, the song itself tells a tale of personal difficulty – you can hear this with each new listen, as the lyrics pour through, and indeed you can hear it in the vocal tone and in the subtle pain of certain expressions. There are instances in which the senses appear heightened, the singer seems either calm or subsequently at her peak emotionally. And all of this is subtle, sure – the track offers a quickly familiar, enjoyable soundscape. It’s only when you dig a little deeper or choose to really let it connect, that it does – it reaches out with truth and poignancy to paint a clear and unedited picture of the experiences within. When all is said and done, still the hook finds its way into your sub-conscious – still you take away that key line, that idea and that melody, as you would with any modest but effective hit. Easily worth adding to the long term playlist and I’d be interested to hear where else ShadeReggae takes songwriting in the future. Download the single via iTunes or stream it on Spotify. 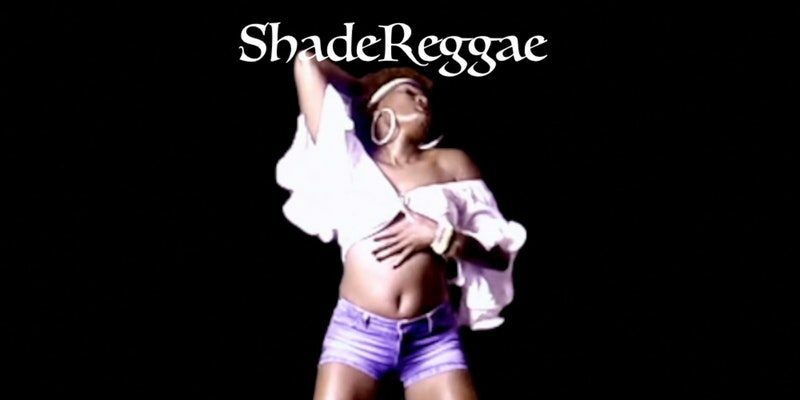 Find & follow ShadeReggae on Facebook, Twitter & Instagram or visit her Website.